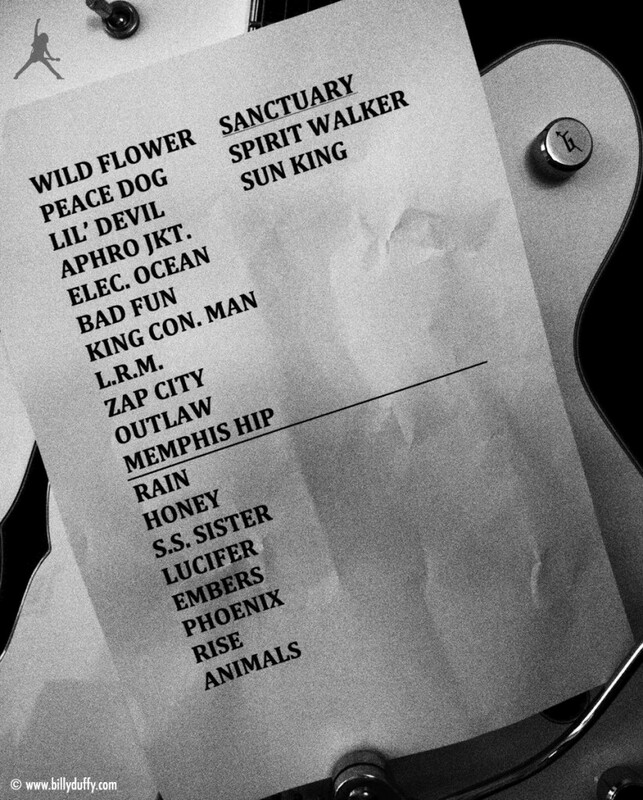 Billy's set list from the first night of The Cult 'Electric 13' tour at House of Blues, San Diego on 25th July 2013. The first of the two sets that the band played on the night was the full 'Electric' album in running order but with the the cover version of 'Born to be Wild' replaced by their own song 'Zap City'. This was a track which was originally recorded as part of the unreleased 'Peace' album and written at the same time as the rest of the 'Electric' songs. After a break with a short video the band played a second set featuring songs from various points in their career and ended with 'She Sells Sanctuary'. The encore was early single 'Spirit Walker' from 1984 and 'Sun King' a single from the platinum album 'Sonic Temple.